Sean wrote a beautiful blog post about Drogba and his career which brought a tear to my eye. I'm really upset that Drogba is leaving us, as is every Chelsea fan. But as supporters we understand that as a team we need to rebuild and put faith into the younger players. 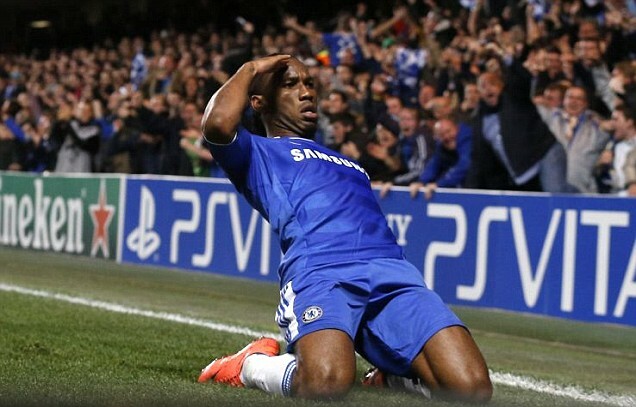 I'm so glad Drogba is leaving on a high. He is such a character and is definitely going to be missed both on and off the pitch. He has achieved so much, and had helped the club achieve so much. He brought something special to English football - from his pure skill and class goals, to his atrocious acting and elaborate celebrations - who else do you know uses a trophy as a steering wheel?! From the bottom of my heart, I want to thank Drogba. He helped transform my team into something brilliant. Like he says, his blood will always run blue. Didier Drogba, arrived as a player, left as a legend. CHELSEA ARE THE UEFA CHAMPIONS LEAGUE WINNERS!